People have passed through the summit area for thousands of years. Van Norden meadow shows signs of these early visitors in the stone mortars and metates that are spread through the meadow. 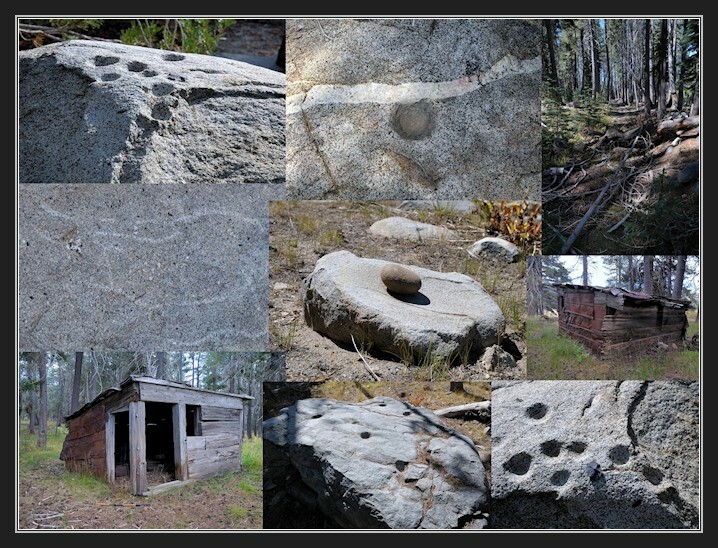 Signs of later travelers are evident in the remnants of the Emigrant Trail and sheep herder’s hut. George – i like your collage.